This week on The Bugcast: we speak briefly on the situation in France, and bicycles, and our usual 8 tracks of Creative Commons and independent music from Wired Minds, Draco and the Zodiac, Danielle Helena, Roy Smiles, Jeff Oster, The Brothers, Karissa Hobbs, and Icon Girl Pistols. 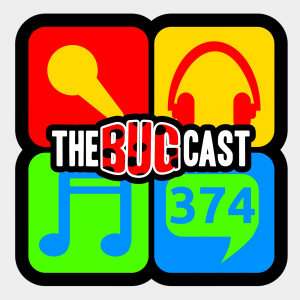 the bugcast 374 – We’re off to Podcrawl, again! This week on The Bugcast: migrants, logos, helmets, and 8 great tracks of Creative Commons and independent music from Draco and the Zodiac, David Amber, Antigone Rising, Four, Color Out, waterpistol, madelyniris, and Heifervescent. This week on The Bugcast: We missed out most of what we wanted to say, but we still played our usual mix of 8 great tracks of independent and Creative Commons music from BlackStar, Draco and the Zodiac, Jasmine Jordan, Steady Hussle, Jeff Oster, Booker Band, Foam Ropes, and Black Cougars.